My specific setup may differ from yours, but this solved my problem, and it seemed to solve many others’. I have an HP Color LaserJet CP1215 connected to a D-Link DPR-1260, and the computer trying to print is a Windows Vista machine. The LaserJet and the print server are excellent pieces of equipment, definitely – just that they weren’t working together. Microsoft not complying with the Line printing RFC, by allowing a computer to NOT send the size of the data that it needs to the printer. Print servers also not complying with the RFC, by accepting the computer’s print request even though it doesn’t have that magic size included. And then check LPR Byte Counting Enabled. Hope this helps any lurkers! Please leave a comment if you’re helped out by this, or if it doesn’t work – I might have some other ideas. just worked for me as well on a HP 2035n win WIN 7 64x. Thanks! This solved my problem too-(HP laserjet2035+TP Link TL-WPS510U wireless print server). Thanks a lot! Great help! Thank you. It fixed my long ongoing problem with wasting paper and ink on Windows 7 64-bit laptop. That fixed it – thanks! It is work with my HP laserjet P2035 on window 7 64-bit through the hp printserver, thank you. Great, worked for me too!! Any idea if this fix will work on windows xp systems? If so I’ll get a D-Link DPR-1260 to go with the HP Color LaserJet CP1215. That fixed it for me as well for HP Laserjet P2035N Thank You! Thanks!!!! It was driving me crazy. It fixed the problem. GRACIASSSSS!!!! te juro que estaba ya desesperado con esto, llevo desde las 9 de la mañana dandole vueltas… pero al fin me voy de finde con la satisfaccion de haberlo conseguido. 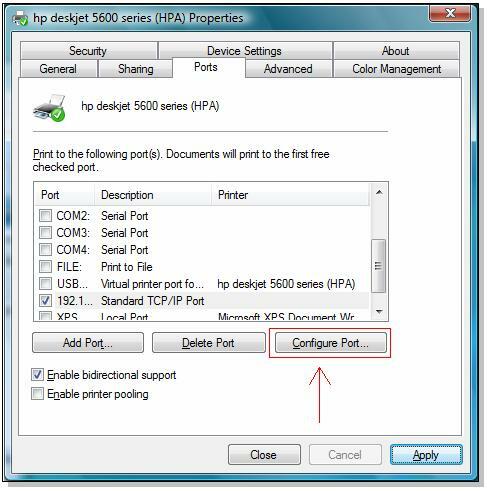 Simply unchecking the box “Enable bidirectional support” on the Ports tab of the printer properties worked for me. Great!!! Thanks! Win7 x64 + TP-Link TL-PS110U + CP1215 without “LPR Byte Counting Enabled” were going to infinite printing. Was having issues on a Win7-64bit laptop & networked P2035n printer. Fixed the problem! Many thanks. I appears to have solved the problem fo me. thanks. Was having issues on a Win7-32bit laptop & network P2035n printer. went printing infinite. after doing that, it fixed the problem! thank you very much.. Thanks! It worked for me. I wish it came in the manual. Thanks for your help and for Sharing it on the Internet for the whole world to see. Thank you, it worked for me too, on a network hp 2035n. I couldn’t do it the first way either as it asked for a queue name but disabling bidirectional support did the trick! Thanks!! Guy, you are simply the best. Thank you, worked perfect for me too. I have a hp cp1215 with dpr-1260 and Windows 7 and 8! 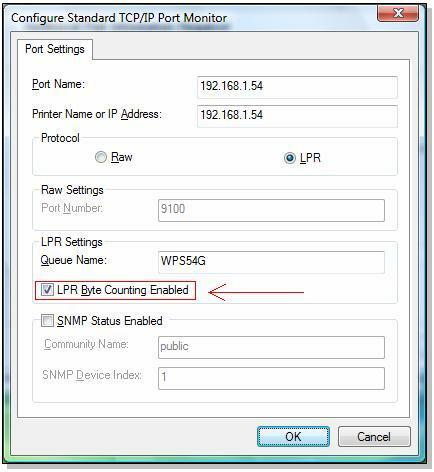 Changing to LPR and “creating” a queue name, along with your LPR Byte Counting Enabled and it works like a champ on a Windows Multipoint 2012 box that has the printer set up in a remote office over an IPsec VPN tunnel. HP LaserJet P1606dn (to help with future searches). Solution worked for me as well! Made me look like a hero! Thanks a lot! I have an HP laptop running Windows Vista. All my other PCs are Windows 7 and used to have Window XP machines. I have an HP CP1215 with a Linksys PSUS4 Print Server. The Vista based laptop was the only one having issues and it was printing a LOT of pages. This fixed the issue. The only thing I was unsure about is the queue name. I had to go to another source because my laptop rejected the name in the screen shot. I named it CP1215 and that worked. Worked great. Had to create a queue name. Just made one up and it worked great. Thanks so much for your help. I have an HP1120W laser printer. For some reason it didn’t let me change to LPR. By reading all your comments, simply unchecking the box “Enable bidirectional support” on the Ports tab of the printer properties worked for me. Thanks so much!! !